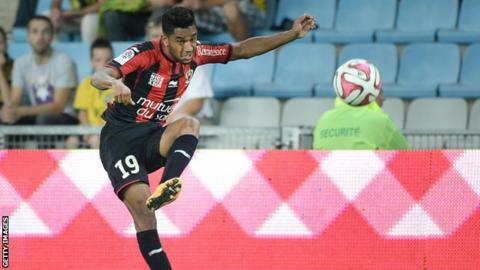 Aston Villa have signed France under-21 international defender Jordan Amavi on a five-year deal. The 21-year-old full-back joins Tim Sherwood's side from Nice for an undisclosed fee. Villa have seen midfielder Fabian Delph join Manchester City for £8m, while Liverpool are in pursuit of £32.5m-rated Villa striker Christian Benteke. But Sherwood said: "Jordan has been one of the outstanding players in Ligue 1 and can become even better." The Villa boss told the club website: "There were a lot of clubs after him this summer so we are really pleased to welcome him."